The Danish Bering watches standout for their minimalist designs made with the highest quality and hardest materials in the market. BERING, outcome of a glacial adventure, where the Danish businessman René Kaerskov parachuted over the Artic, where the landscape puts a spell on him making him fall in love with it, as so do his business partners, Michael Wit Johanse and Lars Gram- Skjønnemann when he tells them about it. The idea for BERING is born from this adventure which takes place in 2008 in the Arctic Ocean, when over 200 years ago, Vitus Bering went on a daring adventure navigating until then through an almost virgin area. This is how the vision of a watch collection inspired in the cold and white magical Ice Arctic Ocean landscape is born. As the following quote from Robin Sharma says:” Most of have fear of the unknown. It shouldn’t be that way, because the unknown is just the start of an adventure. And opportunity to grow”. From the start of this adventure, René’s opportunity of growing as a businessman with the “Bering Time!” idea takes off, which he names after the Danish explorer Vitus Bering which also gives names to one of the twenty-four time zones in the world. The idea that was born in 2008 turns into reality in 2010. The beginning of the BERING watches, characterizes for its ultra slim design and Bering elegance, that thanks to the premium quality materials such as sapphire glass which is especially clear and scratch-resistant and high-tech ceramic, making the BERING watches very long lasting. Ceramic: This series characterizes for the quality material they’ve been made with. Light weight high-tech ceramic, heat-resistant and anti-allergic. Where we can find two subsections: BERING Slim ceramic with an ultra-slim design; and, BERING ceramic link where the watches feature linked straps with a “smooth touch” that fit perfectly on any wrist. Classic: The minimalist design that not only achieves a vintage look but can turn to be it. Titanium: watches from the titanium series that meet the main BERING characteristics of quality and design. Solar: The BERING most ecologic watch series, the solar cell under the face turns de solar light or any other light into energy, storing it in a rechargeable secondary battery. Incredible! A watch that with just one full charge can work between 6 and 12 months even being in the dark. Max René: a simple and colourful series of watch design. A watch collection with a complex mechanism that normally would need a lot of space, BERING with their automatic slim mechanism Premium Slim achieve what seemed nearly impossible, a complex watch with a slim and elegant design. Also, BERING only produces 500 units for each model, which makes extra special. BERING meets a perfect combination with form and function. The German company EMES produces exclusively for René’s adventurous brand, the super slim radio-controlled watches, that together with a high-performance battery and a powerful receiver that adjusts daily with the atomic watch, ensures an absolute precision. BERING has been campaigning for the conservation of polar bears since 2011, donating for every sold Charity watch for women, 15 euros to the organization “Polar Bears International”. This is a limited collection of 2.181 units individually numbered. Watches made with high-tech ceramic, stainless steel, sapphire crystal and with one of the most beautiful stones that could perfectly describe the north pole, the diamond. The Polar Bears International is to prevent the endangered species and preservation of the ice on which they depend on. In addition to their work of aiming to make people aware of the importance of looking after the Antarctic to control de global climate. Don’t hesitate any longer, if you have felt identified or thought of someone when reading the BERING idea and its philosophy. 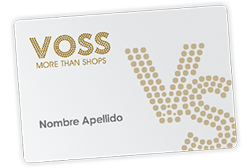 Come to one of our VOSS Shops where we will help you in any way possible. This Christmas turn BERING into your best ally! Turn your Christmas holidays a BERING TIME!